IOWA CITY, Iowa—ACT is now seeking applications from all 50 states and the District of Columbia for the 2017-2018 ACT College and Career Readiness Champions initiative. The application period opened on October 2 and will run through Dec. 31, 2017. 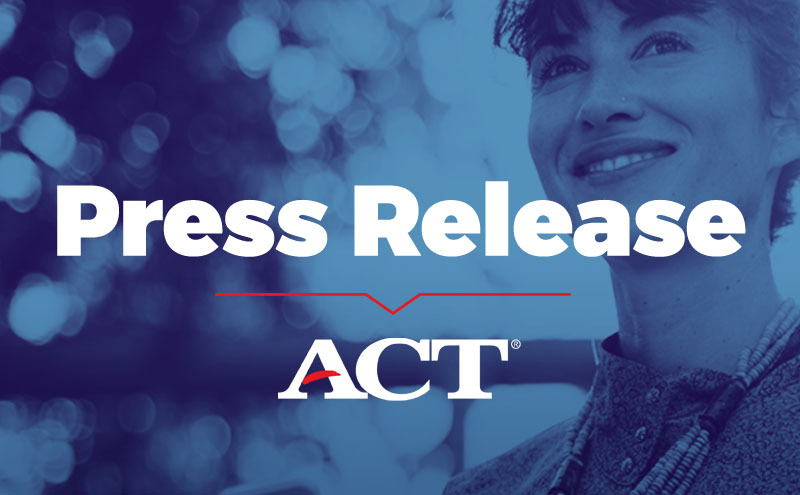 The ACT College and Career Readiness Champions initiative provides states with a platform to recognize individual efforts in promoting and supporting college and career readiness. Champions are individuals who personify the mission of ACT by promoting college and career readiness for all. They are recognized in four categories: high school seniors, K-12 professionals, postsecondary professionals and workforce professionals. Individuals in the categories of K-12, postsecondary and workforce professionals can be nominated by others. Students in the high school senior category must nominate themselves and should express how they’ve overcome challenges and obstacles on their journey to becoming college ready. Interested applicants should describe how their actions create an atmosphere and culture that promotes college and career readiness for all, especially as it relates to meeting the needs of and/or overcoming barriers for first generation and traditionally underserved populations. Application criteria for the four categories of Champions can be found online at www.act.org/readinesschampions. Once the application window has closed, Champions will be chosen by ACT State Councils, a collection of education and workforce professionals in each state. Applicants will be notified on or before April 2, 2018 if they have been selected as a Champion for their state. The chosen student Champions in each state will receive a $500 scholarship, and all Champions will receive recognition awards and certificates. To learn more about the initiative, and to nominate an individual or apply to be a Champion, visit www.act.org/readinesschampions and check out #ACTChampions and @ACT on Twitter for updates.